High quality chrome rust resistant clips that are perfect for everyday laundry household use. Sturdy Construction with strong grasp yet light weight design that makes it very handy and portable wherever you travel. 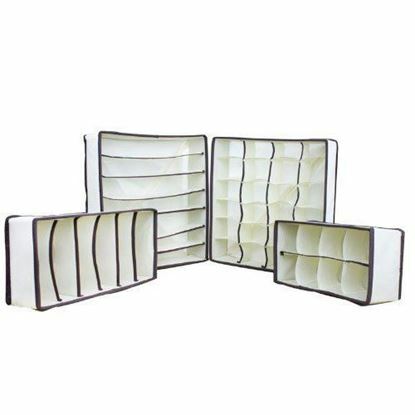 Convenient and multi-functional: Can be used to hold and organize variety of stuff such as boots, coats, handbags, or towels. Soft vinyl gel grip design prevents clothes form slipping and damaging. Package includes: 12 Clips. High quality open-end beautifully designed sturdy chrome hangers. 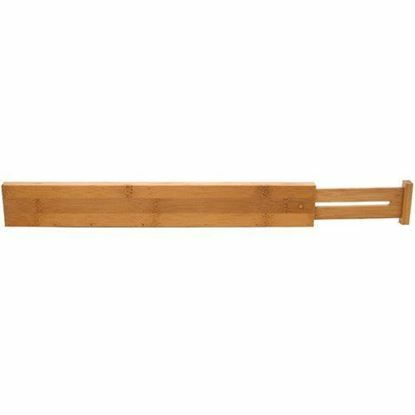 These Hangers fit standard closet rails and maximize your closet space. Material: Chrome and non-slip coated bars. Package Dimensions " Set of 10": 14.5" L X 9.5 W X 3" H Color: Silver & Black. High Quality Durable Bag : durable construction made of clear vinyl. 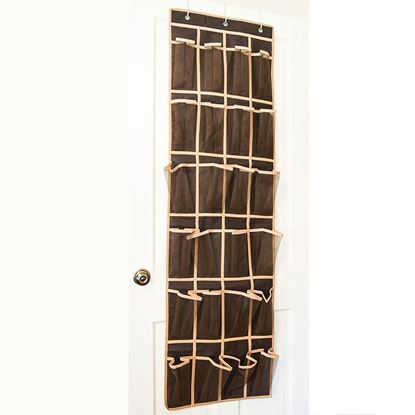 Can be Easily Installed: includes Velcro straps and plastic rings, it can easily go on your closet rod. Excellent Storage and Organization Tool: frame-less and flexible so that can be easily squeezed into the most crowded closet. Keep Your Clothes Dust Free while Easily Accessing them when Needed. Dimensions: 15" x 22" x 42"
HUJI 4 Position Mop Tools Broom Holder/ Organizer : Provides the best storage solution for your Kitchen, Garage, Garden or your Laundry Room. 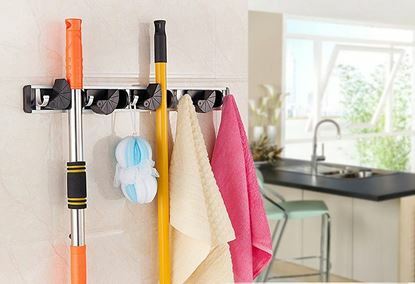 Smart Compact Design : Takes minimal space and helps keeping your Garage or Kitchen clean out of cluttered long handled cleaning or gardening tools. Sturdy and Easy to Install: 2 screws with anchors to insure stability and durability to hold tools in place. 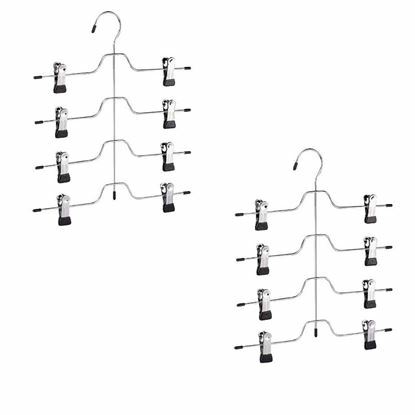 4 Position Grips and 5 Hooks: Hooks can be handy to hang buckets, rags, brushes and many more. HUJI Pocket Organizer is the perfect space saving storage solution for any home. 24 pockets: Eliminates clutter & makes shoes more accessible. Heavy duty fabric as well as strong frame Can be easily assembled and installed to most standard doors. Hanging hooks are included.